Bhraman Sharadiya 1421 has a lot collection of travel stories. 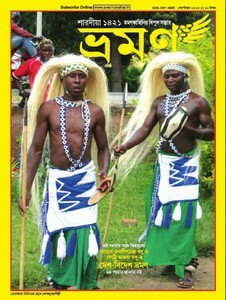 This magazine content are a collection of stories in a variety of national and international travel. If you are a travel favorite person then you may keep the magazine in your collection. So please collect the Bhraman Sharadiya 1421 (eng-2014) Pujabarshiki Magazine ebook pdf.